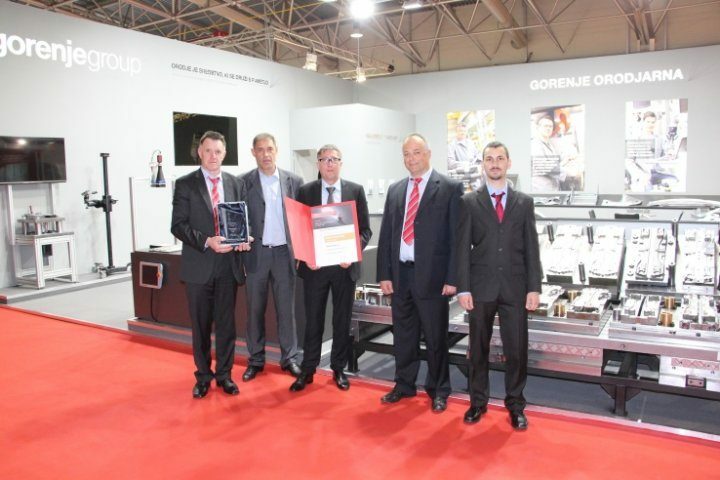 It has become a tradition for Gorenje Orodjarna to participate in the International Industry Fair in Celje. This year they presented an extremely complex and advanced tool for the fabrication of car components and received the highest, golden award from the expert committee. At this year’s Industry Fair, Gorenje Orodjarna presented its progressive sheet metal forming tool for fabricating car glass run channels, and a system for 100% optical control of products coming from the tool. The system is composed of a collaborative robot that manipulates the product and a camera that performs optical control. The development of the tool was based on the state-of-the-art methods of planning with numerical simulations, which Orodjarna upgraded by developing its own system for determining the forming properties of the sheet metal used. Besides Gorenje Orodjarna, only two toolmaking companies in the world produce such tools. “Our plans are focussed on smart tools. We don’t just want to be a producer of tools from steel and standard elements; we want to create tools that will facilitate optimisation and savings for the customer’s production process,” says Boštjan Dokl Menih.